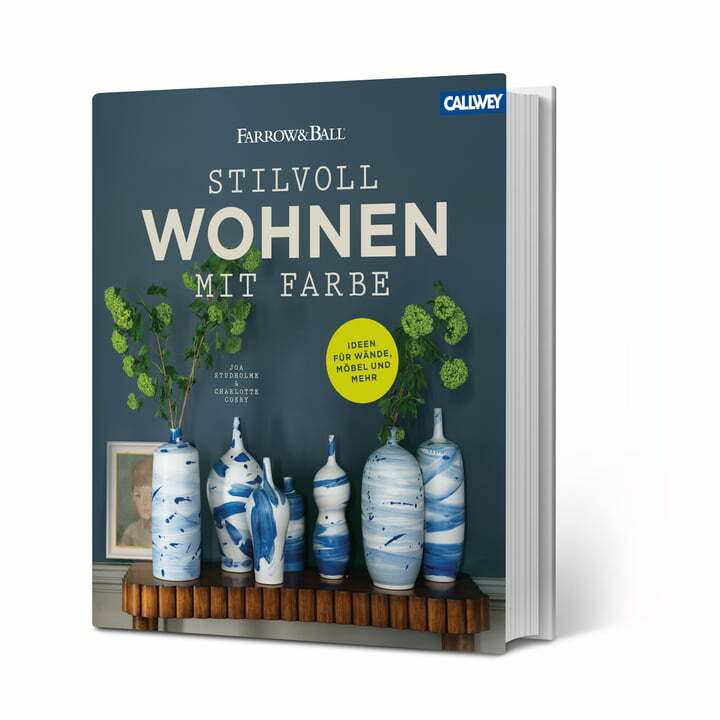 Stylish Living with Colour by Joa Studholme and Charlotte Cosby for Callwey is a comprehensive book on colour in the home. 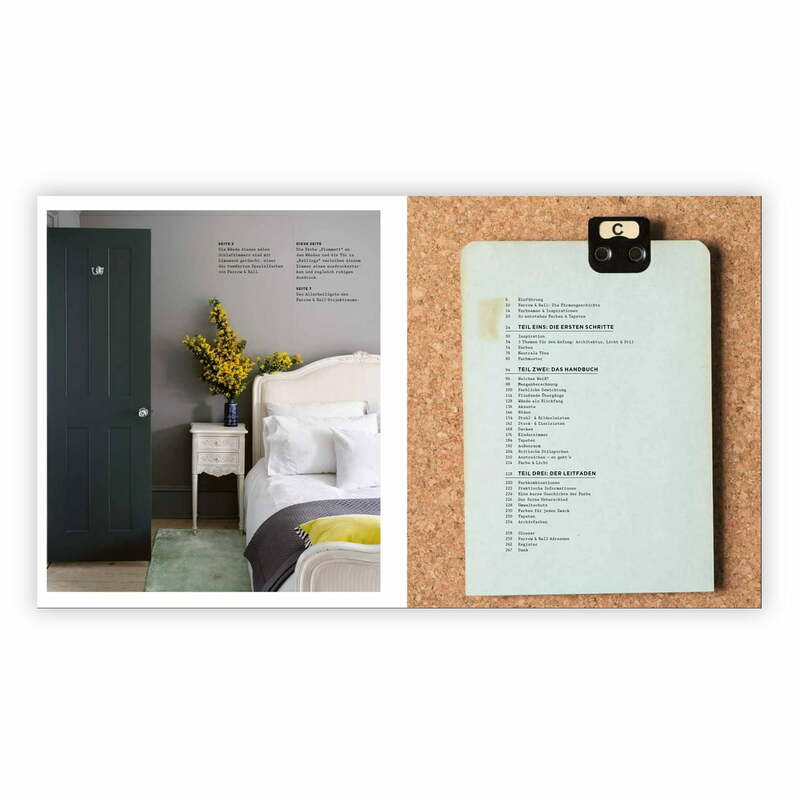 The bound book with dust jacket contains 268 pages of practical tips from experts and colour ideas for all rooms. With delicate pastel shades, discreet gradations of blue and grey tones, or green that has been deliberately used, rooms can be upgraded in no time at all and transformed into an inviting, representative ambience. 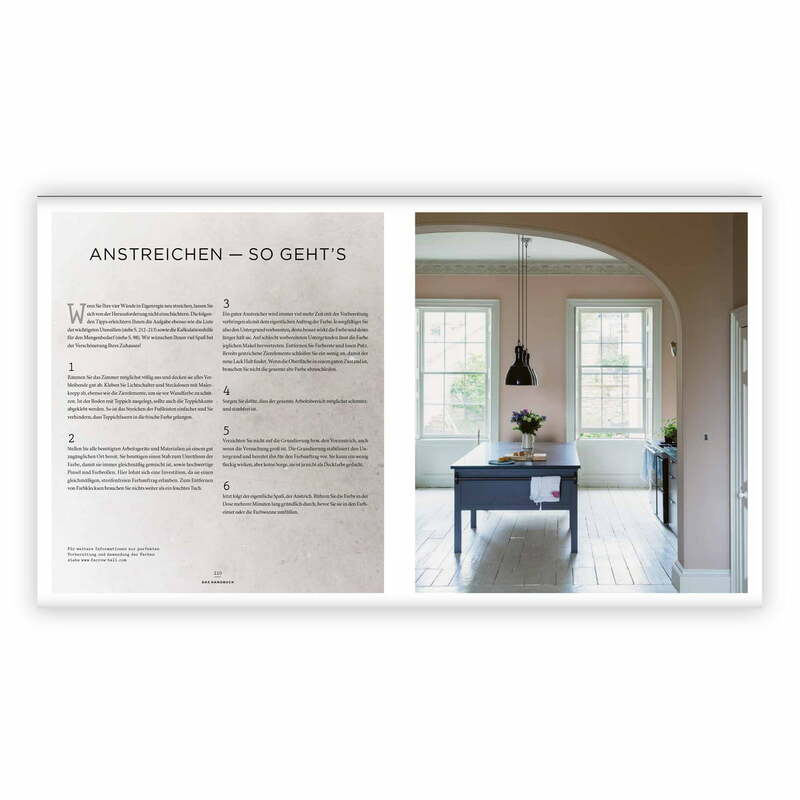 Whether a cosy kitchen-living room, inviting entrance area, soothing bedroom or convivial living room - the living book "Stylish living with colour" provides countless ideas and tips for all rooms. How can I best design walls, but also: Which colour is suitable for chairs, cupboards and other furniture? Which effect has which colour? And how does a harmonious overall concept emerge from individually used colours? 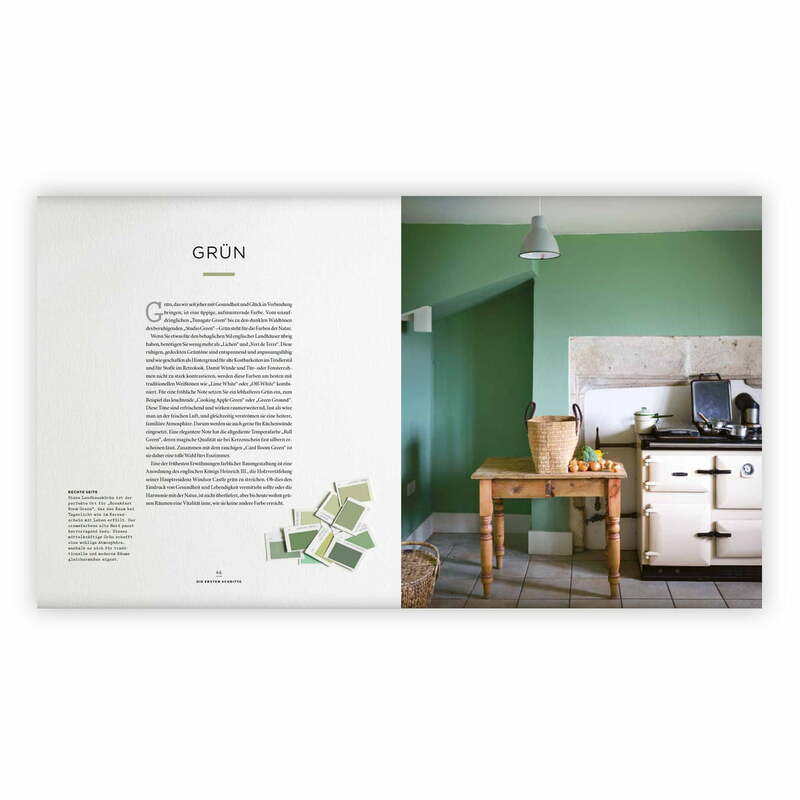 A living book that inspires and helps to realise one's own visions on the subject of "Living with colour", made by British colour experts Charlotte Cosby and Joa Studholme of Farrow & Ball, the most famous and renowned English manufacturer of luxurious colours and wallpaper. With delicate pastel shades, discreet gradations of blue and grey tones, or green that has been deliberately used, rooms can be upgraded in no time at all and transformed into an inviting, representative ambience.